Feel like ditching all your responsibilities and going on a luxurious trip around the world? Us too, but that may not fit into the budget this year! 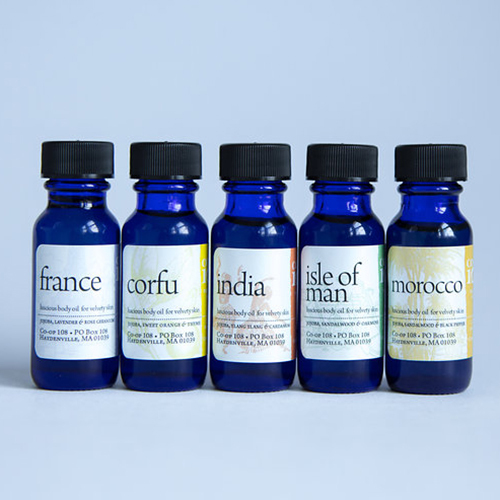 Instead, why not take your BODY on a trip with our flight of oils. This special gift set includes five .5 ounce trial size oils from our bonvOILage line. Sit back, relax and let us take you to France, the Isle of Man, Cofru, India and Morocco! This is a great way to test our oils to find which one works for you and they also make great little gifts.